Small businesses could soon get relief from the IRS for violating "structuring transactions" law. On September 20, 2016 Congress voted on the "RESPECT Act" (H.R. 5523) which will limit the powers of the IRS to seize property of businesses they suspect of violating the law. Structuring is the making of financial transactions in such a way as to avoid detection by law. The IRS requires any deposits made by businesses to a financial institution such as banks in the amount of $10,000 or more be reported on Form 8300, in order to combat illegal activity such as money laundering. The law also requires that businesses report related transactions occurring within a 24-hour period. If the same payer makes two or more transactions totalling more than $10,000 in a 24-hour period, the business must treat the transactions as one transaction and report the payments. The methods used by the IRS to combat structured transactions includes the seizure of assets (such as cash and bank account deposits). It then falls on the taxpayer to prove that the funds and deposits are legitimate. Even in the cases where taxpayers prevail, there is tremendous time and expense required in defending themselves. 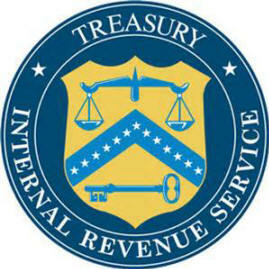 The bill working it's way through the congress will prohibit the Internal Revenue Service from carrying out seizures relating to a structuring transaction unless the property to be seized derived from an illegal source or the funds were structured for the purpose of concealing the violation of another criminal law or regulation, to require notice and a post-seizure hearing for such seizures, and for other purposes. It will further specifically require the IRS to show probable cause that funds were derived from an illegal source or connected to criminal activity before the agency can seize funds.